1st Prize and "Grand Prix Ivo Pogorelich" of "Stravinsksy Awards"
Born to a Viennese family of musicians, Gottlieb Wallisch was admitted to the Vienna University for Music and Performing Arts at the age of six years, and later graduated with distinction from the class of Heinz Medjimorec. He has participated in master classes given by Oleg Maisenberg and Dmitrij Bashkirov, and studied with Pascal Devoyon in Berlin and with Jacques Rouvier in Paris. Gottlieb Wallisch is a prize winner of several international piano competitions, amongst which is the 1st Prize and the „Grand Prix Ivo Pogorelich“ at The Stravinsky Awards (USA). He was also a finalist both at the 1999 Queen Elizabeth Competition in Brussels and at the XXI. Concours Clara Haskil in Vevey in 2005. Gottlieb Wallisch has performed with leading orchestras and he has made appearances at renowned festivals and concert halls, for example the Lucerne Festival, Klavierfestival Ruhr, Beethovenfest Bonn, Schubertiade Schwarzenberg, Tonhalle Zürich, Festival de Wallonie, Singapore Arts Festival. As a respected artist of the Viennese piano tradition Gottlieb Wallisch records exclusively for the British label „LINN records“. Three highly acclaimed albums dedicated to the music of Mozart have been issued since 2010, his latest release in 2014 features Haydn’s London Piano Sonatas. 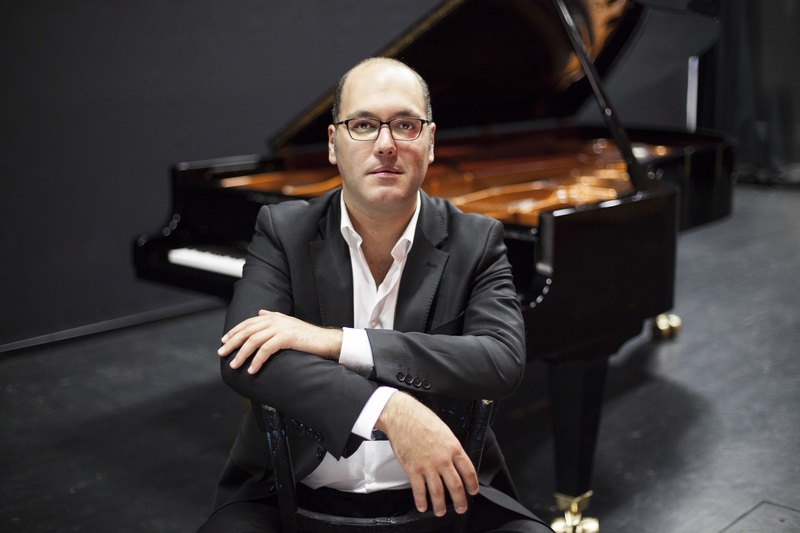 Besides his soloistic activities Gottlieb Wallisch is a passionate performer of chamber music and serves as professor for piano at the Geneva University of Music. In 2013 he was visiting professor at the Franz Liszt Music Academy in Budapest. Furthermore he held master-classes at the University of Illinois, the Nagoya College of Music and the St. Petersburg Conservatory. If you wish to revise this biography, please contact Mark Stephan Buhl Artists Management (office@msbuhl.com). Please use material of the current season only.